Anyone else feeling a little shocked that the holidays are just around the corner? It seems like just a hot minute ago we were sweating our buns off and laying by the pool and now we are prepping for Thanksgiving, then Christmas and New Years…yikes! This time of year is pretty nostalgic for us; we are actually able to unplug, unwind, eat home cooked meals and spend quality time with the people we love and cherish most. Another reason we can’t get enough of this season is for the plethora of holiday parties. There is just something about getting dressed up in your finest and heading out into the blustery night to attend a festive party that really gets us in that holiday spirit. And while we love attending these parties, we seem to always find ourselves scrambling to hunt down a frock at the last minute. This year we decided to break that bad habit and do a little planning in advance. We called up our friends at Ella Rue and asked them to scout out a few knock-out dresses for us with the holidays in mind. 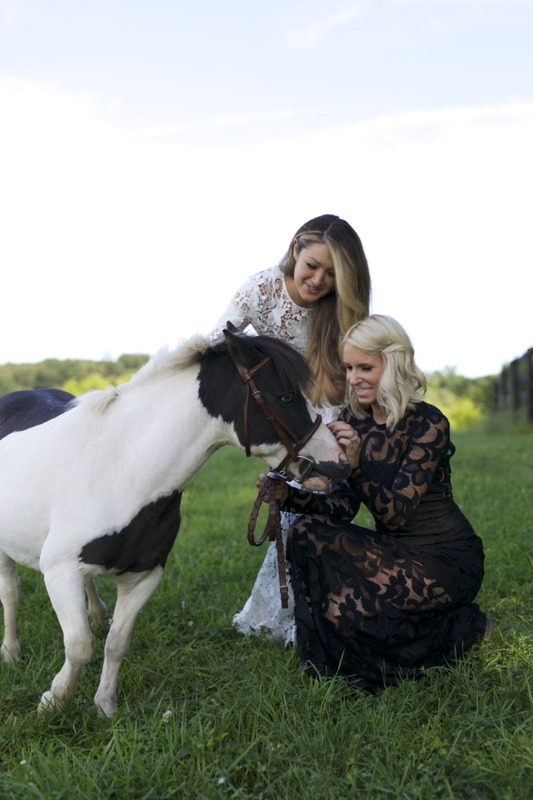 We chose the gorgeous Virginia countryside with an equestrian twist for this shoot knowing full well we were running the risk of being upstaged by our friend, the always show-stopping mini pony Porkchop. Even though he rightly stole the show we had a great time hanging with him, and yes, he really is that cute. Ella Rue was kind enough to let us dig through their vast collection of one of a kind dresses and jewelry, we chose these the black and white Alexis lace gowns but there are tons of styles, sizes and materials there to fit your personal style and make sure you stand out at all of your holiday parties. So this year, skip the department store and head to Ella Rue instead, you will be sure to turn heads at your holiday parties with these timeless looks. Photography by Noelle Turbitt of Carrow Vines. 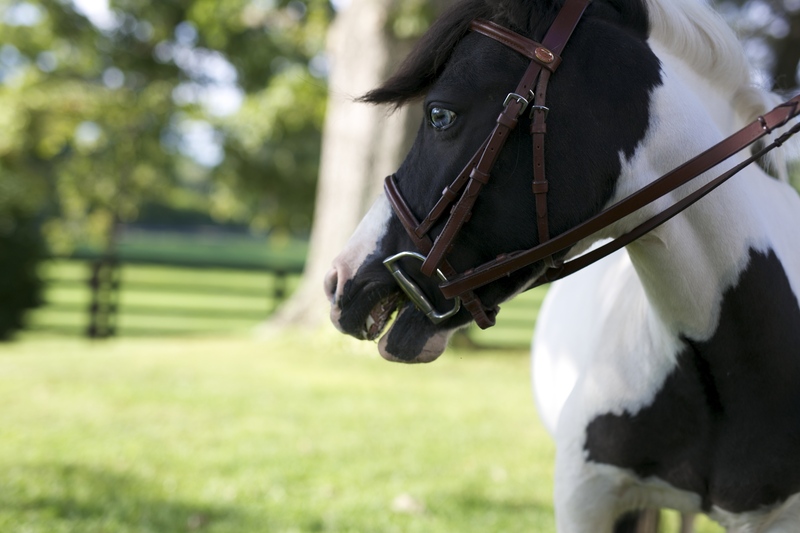 Hair by Ashley Duru of Salon Emage in Warrenton, VA. Porkchop the mini-pony owned by Laura Bartee of LLB Design.